It is a case of life imitating schlock. Of all days for the zombie apocalypse to dawn, it happens during an aspiring Kiwi screenwriter’s first day working on the set of a grade Z zombie movie. Naturally, it takes the crew time to realize just what is happening and where all those extra zombies came from. Needless to say, it is tough being an extra in Guy Pigden’s I Survived a Zombie Holocaust (trailer here), which just released on iTunes. Somehow Wesley Pennington’s naïve idealism survived film school, but a few humiliating hours working as the runner on this derivative micro-budget zombie flick might just grind him into submission. The production is helmed—quite poorly—by the arrogant martinet Stanley Martin Patrick, who insists the crew refer to him by his initials, “SMP.” His bullied assistant director Richard Driver makes sure the abuse steadily flows downhill. Tane Henare, the location manager is not a bad bloke, but he won’t stop boring people with glory stories from his rugby days. The real bright spot for Pennington is the location caterer, Susan Ford, but she will not give him the time of day. Her food is also a minor horror show. However, Ford will start to warm to him when they are running for their lives from the zombie hordes. 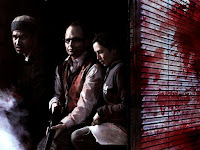 ISAZH starts with a pretty promising concept and develops some clever gags poking fun at indie genre filmmaking. The way they make the meathead lead actor’s voice sound weirdly mixed, even under ordinary circumstances is a particularly nice touch. However, the gun-nut Yank obsessed with Islamist terrorism is a distracting detour into political point-scoring that does not pay-off with laughs. 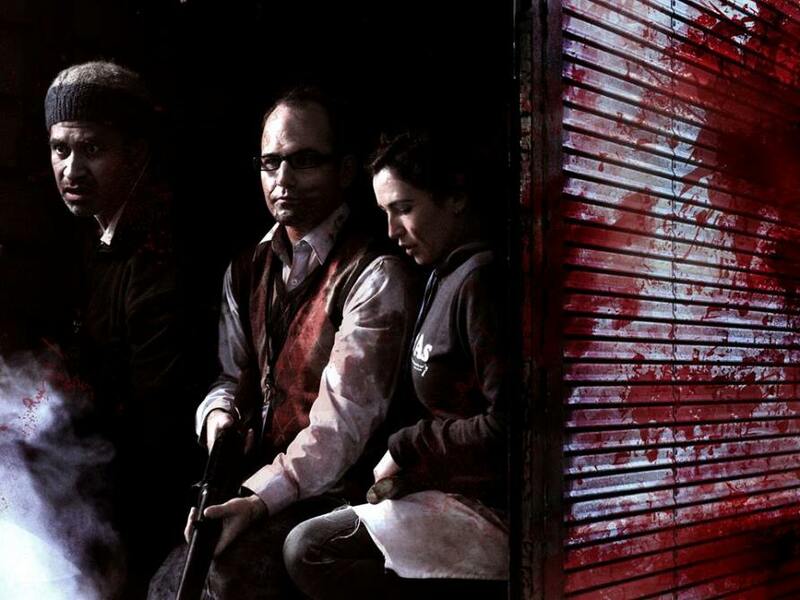 Frankly, a film like ISAZH tells us we can never be too paranoid, about anything. On the other hand, SMP and Adam “The Body” Harrison, the closeted, waning-in-popularity action star, are big, over-the-top characters that land some darkly outrageous bits of comedic business. To their, Andrew Laing and Mike Edward, as SMP and the Body respectively, go big and bold. As Pennington and Ford, Harley Neville and Jocelyn Christian develop some convincingly awkward chemistry, while Ben Baker’s Henare is the closest thing to normal on the set, while being just sarcastic enough to be a good audience surrogate as Henare. Evidently, zombies tend to be the fleet of foot in Oceania rather than the slow shufflers. Like the Australian Wyrmwood, the crew in ISAZH must contend with some pretty fast zombies. Pigden also keeps the film moving along at a good clip, even though he takes a scatter-gun approach to the comedy. 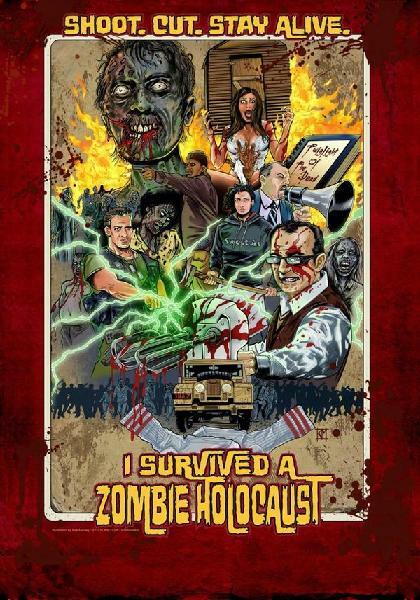 An amusing distraction for zombie fans, I Survived a Zombie Holocaust is now available from The Orchard on iTunes.